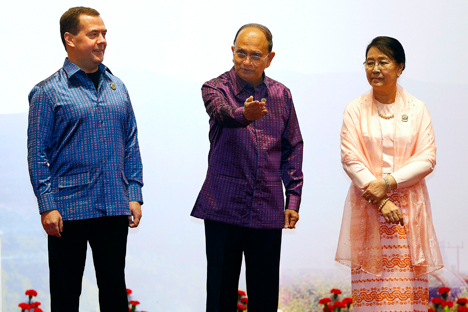 Dmitry Medvedev in Myanmar for the East Asia Summit. The commission was established to enhance bilateral relations. Russia and Malaysia set up a Joint Commission for Economic, Scientific, Technical and Cultural Cooperation (ESTC), the countries said in a joint statement on Nov. 22. The ETSC is a bilateral mechanism to further enhance bilateral relations between the two countries, according to the statement. The agreement was signed by Alexei Likhachev, Russia’s First Deputy Minister for Economic Development and Malaysia’s Foreign Minister Anifah Aman. The signing ceremony was held on the sidelines of the East Asia Summit in Kuala Lumpur. Russian Prime Minister Dmitry Medvedev held a closed-door meeting with his Malaysian counterpart Najib Razak before the signing ceremony.